I decided that the perfect loomy gift for my hubby’s birthday this year would be the Cabin Wooly Socks, a pattern by Isela Phelps, found in the booklet, Loom Knitting with the All-n-One Loom. I used the exact yarn called for in the pattern (Knit Picks City Tweed, color Blue Blood), which was so soft and luxurious to work with! Pure Wooly Lusciousness! 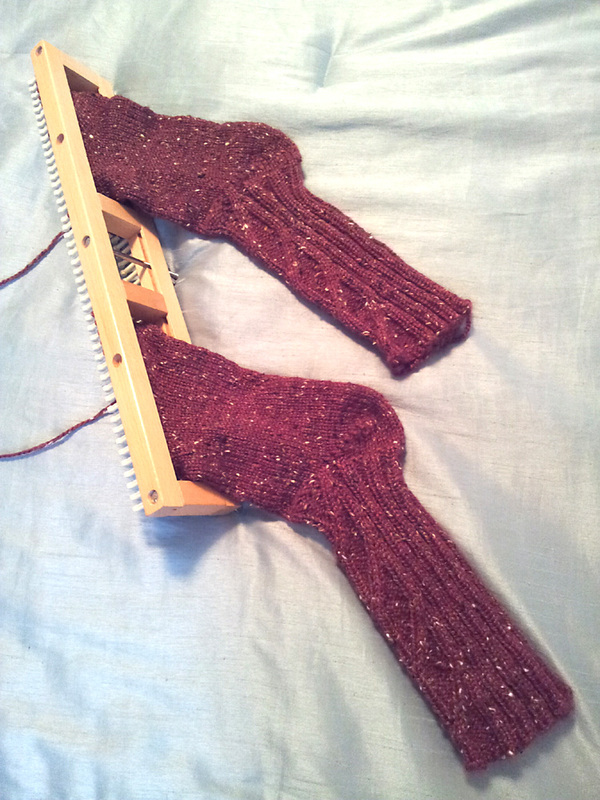 I also used extra center sliders to enable me to work both socks at once…a definite time saver, to be sure. …or at least it would have been a time saver, had I not had to make a trip to the froggie pond after completing about 30+ rows on both socks. 😛 What I realized was that there was an error in the chart key, which of course, I was following to the letter. This happening, I’m sure, had less to do with the designer, but had everything to do with the confusion of putting a book together when lots of editing is being done and by several people at once. 😉 Once I realized this, made the corrections, and started over from the beginning again (aaaack!) all the sweet cabling action starting showing through. I was a much happier girl from that point on, lol! Believe me, you’ll want a pair for yourself after completing one for your guy! These babies are so soft and comfy! The yarn is fab, and the cable/rib pattern makes them super squishy…love, love, love! PS: Check out this beautiful Kitchener Stitch job on the toe. You can’t even tell where the graft line is…sweet! 🙂 I had to refresh myself on how to do it, as it had been a long while since I’ve had to. 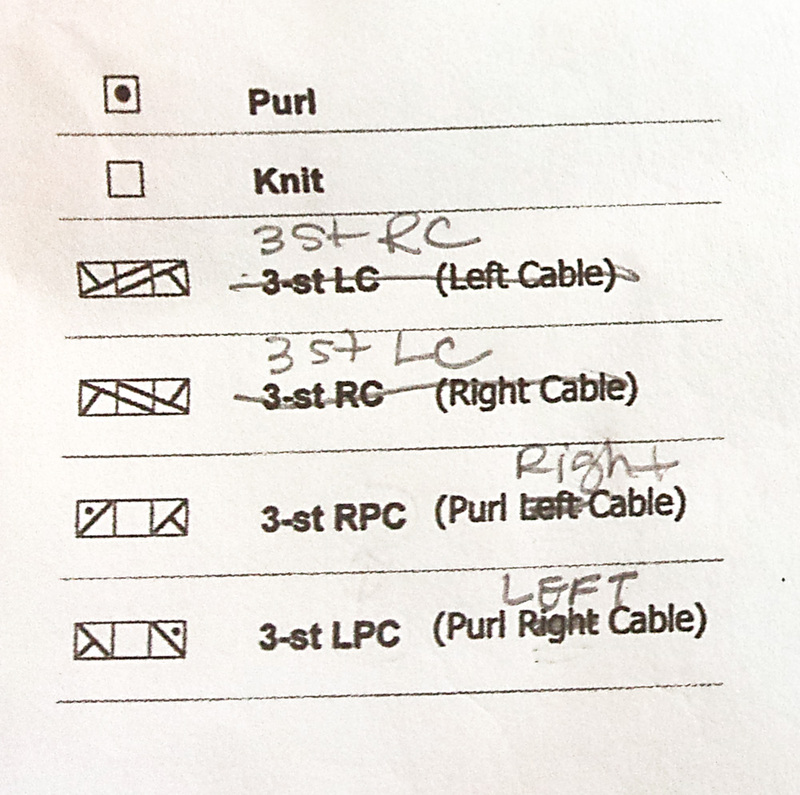 The tutorial online that made the most sense to me was this one by Knitty. This is a needle knitting site, but the Kitchener Stitch is done the same exact way, whether you’re working your project with needles or looms, as you’ll be taking your stitches off of the pegs and placing them evenly onto two needles. Also, don’t forget to grab your looming Kitchener Stitch Pocket Guide (click the link to see the original post…you can also find them on the Freebies page) to help you remember the steps once the photos have sunk in. I hope you find the chance to loom up some of these babies soon. They would be excellent holiday gifts for those special guys on your list (or all those gals who are like me and love to wear thick wooly goodness on their tootsies, lol). This entry was posted in Birthdays, Books, Loom Knitting, Looming Patterns, My Favorites, Project Preview and tagged All-n-One Loom, Authentic Knitting Board, Bethany Dailey, Cabin Wooly Socks, City Tweed Yarn, errata, Gettin' It Pegged!, gettinitpegged, gettinitpegged.com, Isela Phelps, Knit Picks, knitting projects, loom knitting, Summer Crafting. Bookmark the permalink. 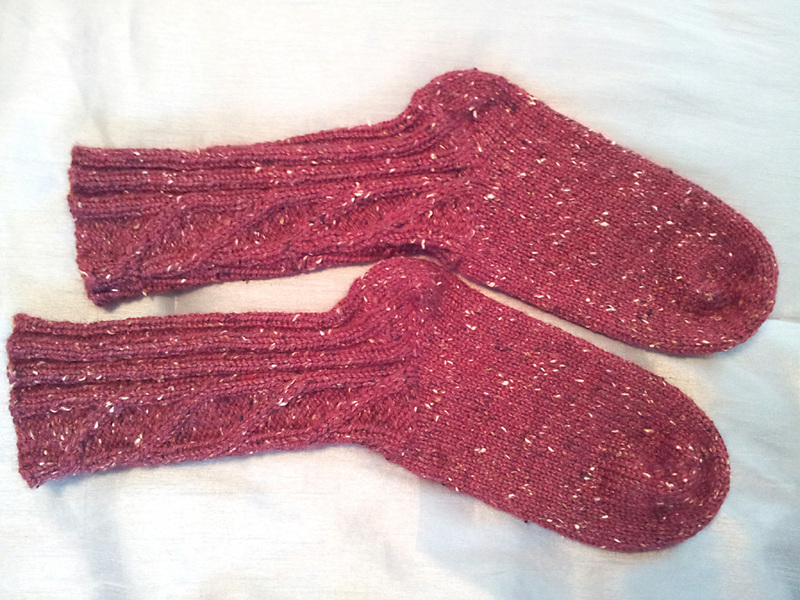 Oh, these look just wonderful … I love the cables and the ‘no seam’ toes! 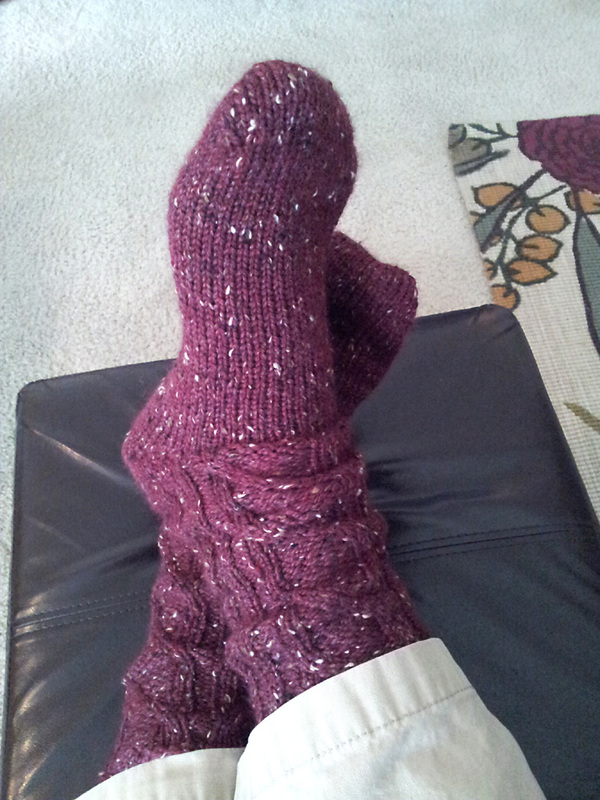 Wow, those socks look amazing (and comfy) and no seams in the toesI guess I am going to have to get one of these looms. I would love to be able to learn how to make socks like this. You don’t HAVE to use 2 dpns for a Kitchener graft if you use a sock loom. 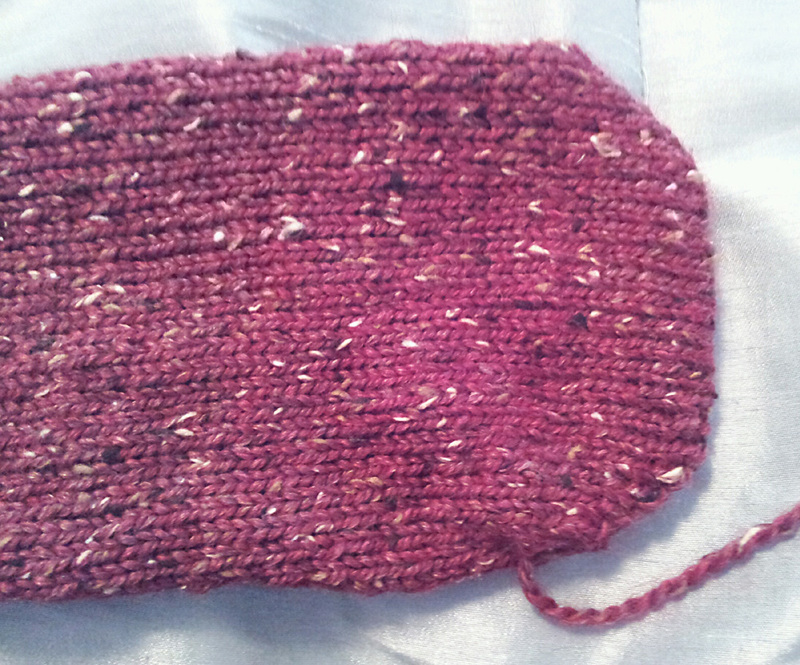 I do it with adding waste yarn, binding off and then with a tapestry needle do the Kitchener. Not a quick maybe but no one can find my grafting lines. Good point, Catna! 🙂 I think maybe the dpns make the stitches you’re sewing in and out of stand out a bit firmer, but other than that, your waste yarn would work great too. Thanks for the tip!
. Just Beautiful! I’m jealous and I’m in Florida.